Higher Awareness's Growth Philosophy with 100's of active links! Higher Awareness's Growth Philosophy with hundreds of active links. Below, in green lettering is my personal and spiritual development story over the last 17 years and all of the content I have created on my Journey - a journey that is very comparable to the growth path of our typical clients. My first real awakening was taking a program called Master Key. Being a good linear, rational thinking Electronic Engineer, I was amazed at our true power and how the universe and our intuition worked. This started my journey. I read everything I could get my hands on and took over 100 personal growth training programs. Living on an acreage, but working in town (Edmonton, Alberta, Canada) I was chaotic and lost for direction in my life. Searching for a time management system I miraculously manifested a system, job, company and a new way of doing life. On top of that in 15 minutes, a friend showed me how to create a website. With the new tools I was learning and using, I was REBUILDING A NEW, SOLID LIFE FOUNDATION. First take our Time Management Skills program with lots of efficiency and effectiveness tips on how you spend your time. Make good decisions and take effective action. Explore your time wasters and energy drains and adopt some time tips and savers and build up your energy. Create your ideal day, week, month and year. Instead of just managing the minutes, clients wanted to reach goals, grow themselves and connect with their purpose. So I started creating and teaching the personal development programs they wanted. To take control of your life, you need to be clear about what you most want for yourself. Set goals on one page or use the in-depth goal setting workbook. Set goals that are meaningful for you. Depending on your personal style, use our BE SMART Goal process or Evolving Essences process. Keep your commitment level high. Use triggers to control the chaos in your life and help you stay on track in meeting your goals. Master some tools that focus intention, build willpower and discipline and create awareness like List Making, Radar Trap, Regular Check-ups, One Word Essence Journaling and Headlining. Answer our smart questions on goal setting and managing time or subscribe to our daily get control smart questions email series to stay on top of what is important to you. Ease stress, overcome procrastination, and make today count! If it’s important, measure it! You may want to pause and review your progress. And keep abreast of mile stones with the Tracking Your Success workbook, Daily Tracker, Stepping Stones life history log and the Life-at-a-glance Life Map. Also explore creating visible change and the daily, weekly, monthly and quarterly review questions that keep you on track. As I became proficient at managing many aspects of my life, I realized there was an underlying, bottom-line for change and growth - Self-Awareness and Self-Knowledge. If we seek to improve the quality of our lives, we must cultivate self-awareness. Explore awareness using our awareness on one page or our two different awareness email series programs . Awareness is needed to penetrate our defences to the deeper values and feelings and to find the causes behind the reactive emotions. It enables you to expand the limits of your mind. Uncover your favourite thinking methods and play with imagination and creativity tools. Discover how to develop intuition and what blocks intuition. Learn how to be comfortable in stillness and being present and how to create more space in your life. With awareness we can perceive, discriminate and discern what is important, real and true for us. Find support with the intuition development workbook. Become more sensitive to sensory stimulus and early warning signals, using awareness exercises. As a foundation for growth, get a sense of the power of awareness and the need to get to know yourself. 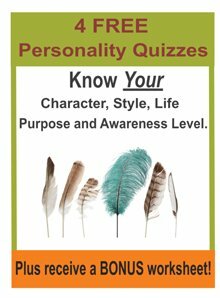 Try our know your soul one pager and our know yourself workbook. We grow in two directions. We go deeply inside to identify, heal and release unconscious wounds and self sabotaging behaviours that hold us back. We also reach higher to explore our potential, unlock our passions and go for what we most want in life. Start with the big picture of your life with the abbreviated Life MAP or the Life MAP-e-booklet. Are you motivated and ready, willing and able to start the journey of your life – to become the person you were meant to be? Become a master of how to change. 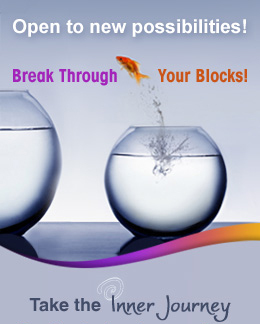 So once I became aware of my self-sabotaging blocks and limitations, I had to clear them out of my subconscious mind. To experience freedom and fulfillment, we need to identify some of the limiting programs and defences that run our lives. As a first step, reveal subconscious shadows that hold you back and distort your reality. Create your own hot list of your negative, self sabotaging, ineffective, life challenges that limit your life. Explore your defences and your fears. Identify how you victimize yourself (we all do). Become aware of your limiting self talk and beliefs, projections, ego control, reactive emotions, and how you use excuses and justifiers. Try our daily tame your emotions smart questions email series or the block busting workbook to break through what holds you back. Open to self acceptance. You might also want to understand the bigger picture of all subconscious influences and social influences. Regularly update your hot list and heal what limits you. Begin to build a healthy relationship with yourself. Explore our smart questions to get to know yourself. Get clear about personality and soul differences and the source of suffering. Uncover your life themes or complete our 'Block Busting' and building self esteem workbook and 'Own Your Life' workbook to get a sense of the purpose of your life journey. Become aware of your inner critic so you can begin to detach from limiting beliefs. Get in touch with what brings you passion using our joy quotes or 16 joy activators email program. Connect with your happiness. Find self acceptance and above all learn how to trust yourself. I found I had many blocks and ways I held myself back. I knew I had to rebuild a solid, unbreakable foundation of who I was physically, emotionally and mentally. Strengthen your physical health and vitality. Take the stress test and identify your stress sources, stress tips and your best stress reducers. Become clear about what increases energy and decreases energy. The body/mind healing list and the body type reading methods show how our ailments relate directly to our thoughts. Use some of our healing tools like unsent release letter, feeling finder, duality tension and character sketch. Forgive yourself and others daily and keep a gratitude journal. We also offer healing tips, a healing process on one page and healing using the 4 E's. Our minds are incredibly powerful so it’s essential we learn to use them constructively. We need to become aware of our limiting self talk and beliefs so we can consciously choose what best serves us. Build a solid character base of mental abilities, skills, and will power. Learn to set clear intentions. Our daily developing mind smart questions email series can support you in shifting perspectives. Our creativity workbook and many mind development resources will help you become more creative. Explore the power doing different things and doing things differently. Stretch your thinking and grasp a bigger picture of your life with greatness concepts and trusting your intuition and over 50 great journaling tools (workbook) like mind mapping, lateral thinking, perspectives, dialogue, stream of consciousness, metaphors, and 5 wise whys. Check in daily, weekly and monthly with our Smart Re-Treat Yourself Questions to explore new dimensions of who you are. Every month, stay clear and balanced with Personal Performance Questions. And our popular daily smart questions email series on balance supports you in consistently attending to the most important aspects of your life. Once I knew who I was and cleared some of my distortions, I focused more on spiritual growth and raising my awareness and consciousness levels. I knew I was ready for a spiritual EXPANSION. Are you consciously on a spiritual journey? Receive 90 days of spiritual tips. or take our Grow Yourself workbook. Review what soul or your higher self is and identify how you experience it. Explore and experience how to develop soul and spirituality. Identify your values and virtues. Learn spiritual and material distinctions and ways to see new perspectives for higher awareness. Check out 'what is meditation' and our progressive meditation techniques email program. Find out the many mediation benefits and some powerful meditation processes and mantras and using a meditation journal. The consciousness journey is more about HOW you do life than WHAT you do. It is more about the process, not the destination. We have discovered a universal life process that can be applied to anything you want. Be supported as you apply this process and experience the many benefits of journaling, benefits of meditation and benefits of personal growth. In a gentle and light way you will receive short, inspirational daily emails that connect more deeply with your heart, mind and higher consciousness and over time you will create little and then significant shifts. Stretch yourself to the next level. Balance life's 2 step journeys - the experiencing of consciousness (awareness, sensing) and raising of consciousness (anchoring, internalizing, manifesting, attraction). The 3 levels of consciousness applied to almost everything identifies the level you were at, are predominantly at now, and aspire to. Meaningful Models of Consciousness describe common models of consciousness such as Chakras, Zodiac, Maslov's pyramid, Tree of Life and more .... ABC's to XYZ's of consciousness is a fun way to identify in one sentence - pains, potentials and processes on your life path using the 26 alphabet letters. As I developed personal spiritual development skills, I then wanted to apply them in various areas of my life like relationships, career and prosperity. Understand that the most important relationship is your relationship with yourself. Learn why relationships are such a challenge. Understand yin/yang dynamics with the male/female differences list. Identify when projections are at work. Use our smart questions to review your relationship or take our smart question daily email series to build healthier relationships. Review our tips and quotes on giving support to others. Explore money definitions, money proverbs, money beliefs, money victim statements and money affirmations. Benefit from our smart questions on money and thinking prosperity. Better yet, take our smart question email series to boost and maintain your prosperity consciousness or our consciousness journey from money to prosperity to abundance workbook. You can attract abundance. Try the manifesting goals process. Co-create with life forces using ideas from our manifesting tips. Take the journey of manifesting abundance emails or our consciousness journey from money to prosperity to abundance workbook. Explore surrendering and letting go to create a more soulful, spiritual life. Create your career road map. As you grow so does the way you support others. Try our skill assessment and identify your ideal niche. Find your life purpose with our life purpose on one page or the life purpose workbook. Choose from our purpose statements to see which ones resonate with you. Identify a life question that empowers you every day. If you are in business, try the sales smart questions and the business coaching questions. Humanity and especially our client base and those attracted to our site are becoming more aware and powerful faster than they were 10 years ago. That is why I am creating a 'best of the best' program/system to synergistically work on all the main holistic skills at at once. Date: August 2016: What's Next? My focus NOW is a Synergy Manifesting System that brings multiple, powerful, holistic skills together quickly and effectively to enhance your ability to manifest your dreams. A system of drawing the best of the best from the above resources. Collaborative SYNERGIES of raising your consciousness level, developing intuition, clearing and reprogramming the power of the subconscious mind and healing what sabotages and limits you and more.... It's working title right now is 'Intuit and DO IT" Manifesting System . I expect to beta test it in August 2016 and if you are a Higher Awareness member and want to be a beta tester email me.